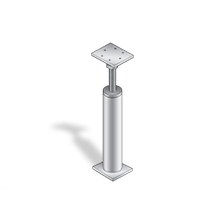 Push piers, often referred to as resistance piers, are an excellent foundation repair solution for settling foundations. They are driven deep into the soil to lift and support weak foundations for commercial buildings, brick structures, and residential homes. 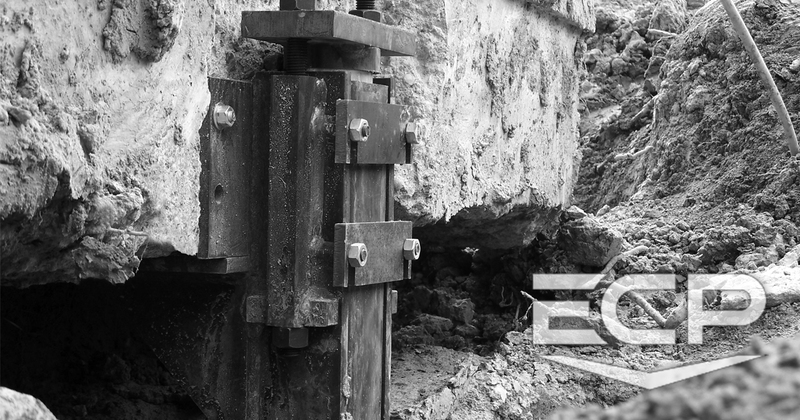 ECP Steel push piers are the most common foundation repair product used today. And when it comes to foundation repair, Earth Contact Products (ECP) is “The Very Best” manufacturer in the industry. The patented ECP Steel Pier is the standard for all piering methods in the foundation repair industry and the top choice for professional foundation repair contractors. ECP’s Concentric Pier system is the only engineer approved system that eliminates bottle jacks and shims from the lifting process. This unique design assures that the pier will provide many years of structural support without over lifting. ECP’s PPB-103 and PPB-107 crawlspace support jacks are designed to provide positive support to sagging floors above crawlspaces and to help remove the bouncing or squeaking caused by inadequate support. This supplemental support system has an ultimate capacity of 60,000lbs and is used where existing column supports have failed or settled. ECP’s PPB-350MP Micropier Bracket System is easily installed into difficult soil conditions that can contain large cobbles, obstructions and bedrock. The TEI / MP-250 Drill Rig that is used in conjunction with the ECP Micro Pier Bracket System is a lightweight and portable drilling unit and used worldwide in the pier installation industry. With its proven track record, you’ll find that the installation and drilling of the Micropile is fast and efficient. With its grouted column, lateral loading in suspect soils is no longer a problem.